In 1789 Robert Burns was asked to produce a witch tale to accompany a picture of Alloway Kirk in the book Antiquities of Scotland. 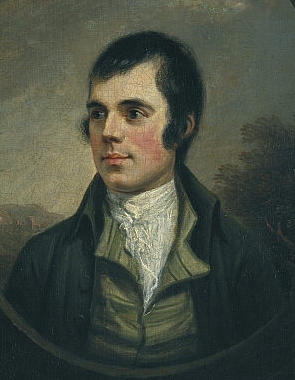 His response was a poem regarded by many as his masterpiece: Tam O’Shanter. The story was based on an old legend about two Ayrshire farmers who spent too long drinking and on their way home saw witches dancing with the devil in the ruined kirk at Alloway. The central characters were Tam o’Shanter and Souter Johnnie, readily identified by residents of Kirkoswald as neighbours Douglas Graham and John Davidson. The two were old friends who were well known for socialising enthusiastically in Ayr on market days, often returning home late. John Davidson was a shoemaker or souter. In 1785 he built a cottage on Main Street in Kirkoswald in which he lived and worked until his death in 1806. 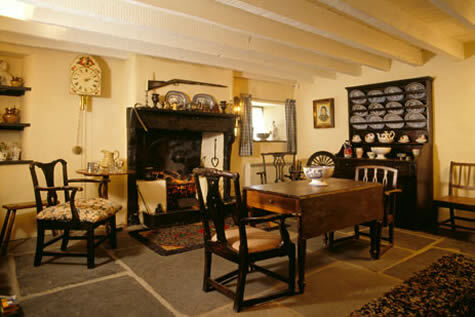 Burns probably stayed at the cottage when visiting Kirkoswald in 1786. 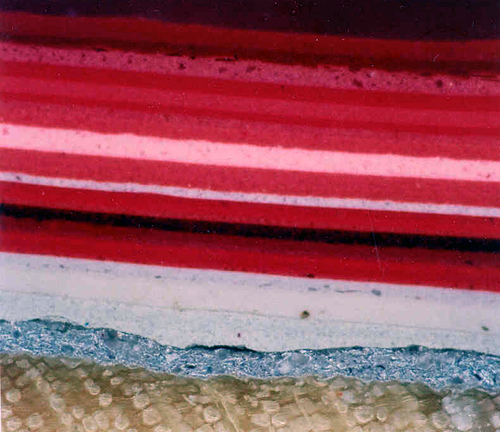 Cross section of paint from L/H Entrance Door. This suggests that the door dates from ca.1960. Note the aluminium wood primer at the bottom of the sequence of paint layers. 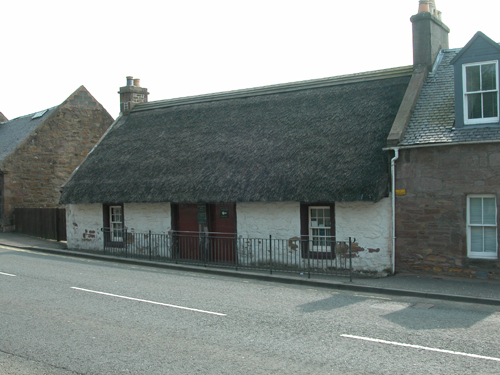 Souter Johnnie’s Cottage, as it became known, stayed in the Davidson family until 1920. It was then handed over to a committee who oversaw its restoration, funded by Sir John Richmond of Blanefield. The cottage passed to the National Trust for Scotland in 1932 and they have looked after it ever since. I was asked to examine the external woodwork.